CALAVERAS COUNTY, Calif. -- The beloved 'tunnel' or 'drive-thru' tree fell to the ground during a massive storm in the Bay Area that left rivers and creeks flooded, houses damaged and several thousand people without power. 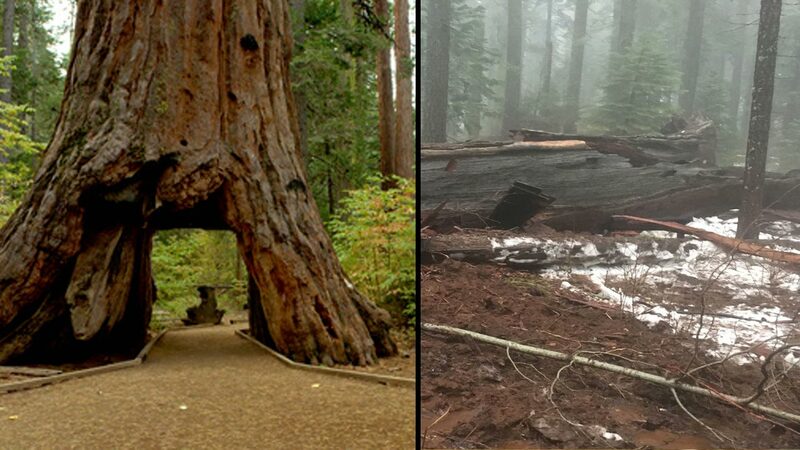 The Calaveras Big Trees Association tweeted a heartfelt tribute to the giant tree: The Pioneer Cabin tree has fallen! This iconic and still living tree - the tunnel tree - enchanted many visitors. The storm was just too much for it. The Pioneer Cabin tree in Calaveras County, Calif. fell on Jan. 8, 2017 after a big Bay Area storm.